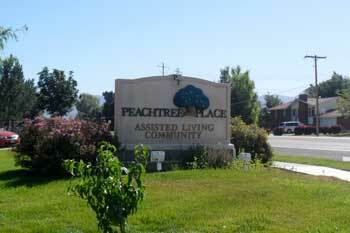 PeachTree Place Assisted Living Community has been operating in the West Haven, Utah area for over 10 years. Our fully licensed and locally-owned facility offers assisted living services to members of the community who require that little bit of extra support. In addition to community living, PeachTree Place Assisted Living Community offers memory care services to patients of memory-related illnesses, such as Alzheimer’s and other forms of dementia. We offer a charming, comfortable atmosphere unlike any other. So unique, in fact, that when you walk through our doors you’ll feel like you’re part of our extended family. Our residents enjoy beautiful accommodations and bring their own furnishings to help reflect their personal tastes, making it feel like home. At PeachTree Place Assisted Living Community, we have your best interests at heart. If you have any questions, contact us. 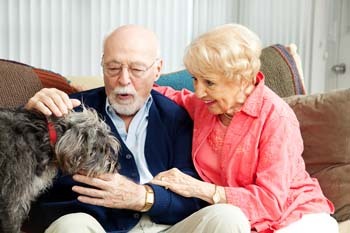 We understand the relationships our residents develop with their pets. Pets listen to us, comfort us and provide us with companionship. Often, there is no substitute for the benefits a pet provides. It’s for this very reason that we, at PeachTree Place Assisted Living Community, invite you to bring your pet along with you. In addition to housekeeping & laundry services, we also offer a 24 hour medical staff, medication supervision, bathing assistance, dressing & grooming, emergency call response, respite care, and on-site beauty salon services. These exceptional amenities make living at PeachTree Place Assisted Living Community in West Haven, very comfortable for all of our residents. We have a high staff to resident ratio to keep up with the many amenities we offer to our residents at PeachTree which includes housekeeping & laundry services, full time maintenance, 3 meals daily, nutritious snacks, special diets, medication delivery, emergency call response, beauty salon, foot care clinic, and dining room. PeachTree also allows pets to stay at our West Haven based facility. PeachTree Place Assisted Living Community in West Haven provides a wide range of outings and activities to our residents. We focus on providing an environment that is not only great for physical exercise but also mental exercise. This great supportive atmosphere is helpful for residents who enjoy being social and active. Our professional staff is helpful in assisting residents in find activities that suit their needs. Residents are encouraged to interact and socialize with each other often. If you are interested in any of our community amenities and services including laundry service and housekeeping service, or have any additional questions, please feel free to contact PeachTree Place Assisted Living Community in West Haven by phone or via our online contact form.